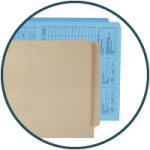 We’ve been helping companies and government agencies create custom organized filing systems for years. Both top and end tab file folders are available. 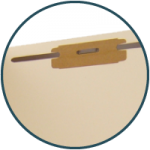 Top tab file folders are traditionally used for drawer filing systems, while end tab folders work with shelf filing systems. Tabs can be cut “full length” or in any dimension or combination of dimensions you need. Strong bonded fasteners are available in any position needed. Standard fasteners can hold up to 2 inches of paperwork. Color coding your filing system with full strip labels makes keeping your files organized even easier. 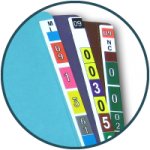 We can match your existing filing system or help you create a new one with a strip label that is designed for your needs. Printing out sheets of labels and applying to file folders is simple. With color coded filing you can spot a misfiled folder instantly. 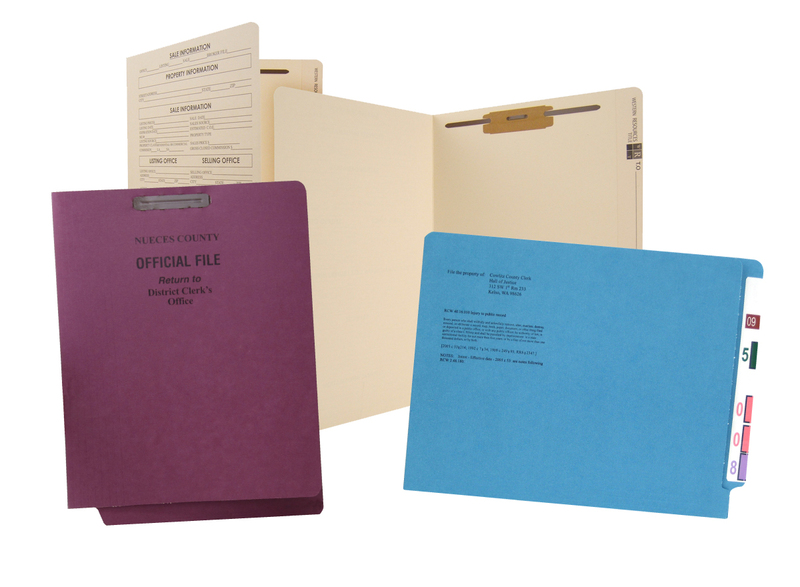 File folders are available in various weights of manila or colored paper stocks. Have a specific color in mind? Just let us know. 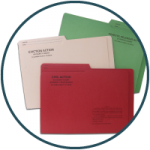 One of our dedicated account representatives would be happy to talk to you about the added benefits of our file folders. Send us a message, give us a call at 877.434.5464 or request samples to get started.